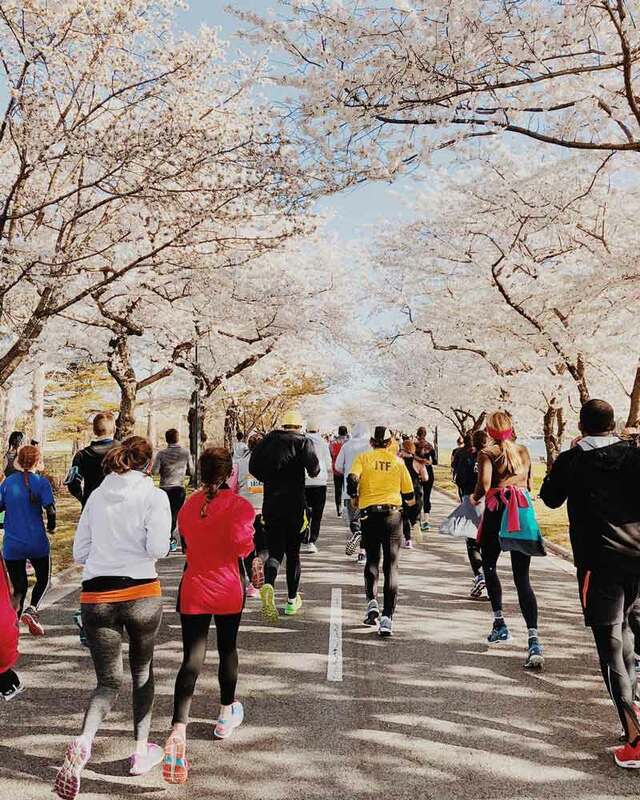 Not just dazzling the Tidal Basin and the National Mall, the cherry blossoms are celebrated throughout the entire city during this annual festival. 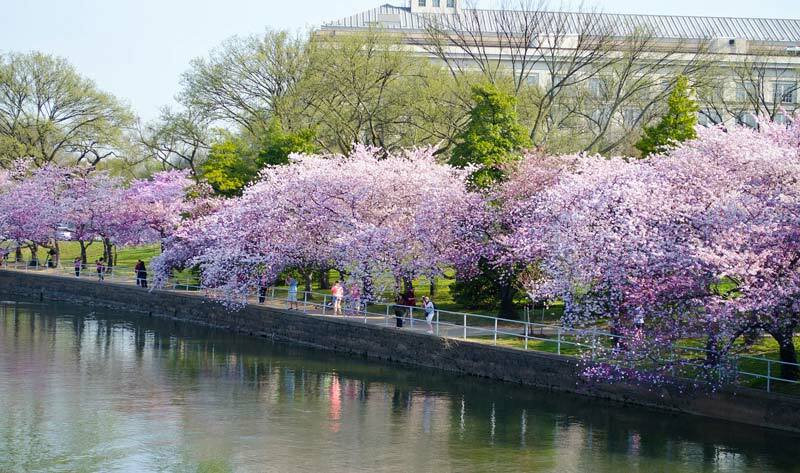 The National Cherry Blossom Festival (March 20 – April 14, 2019) is a citywide festival that celebrates the 1912 gift of 3,000 cherry blossom trees to Washington, DC by the mayor of Tokyo. The festival features a range of spectacular events, from its eponymous kite extravaganza on the National Mall to fun cultural experiences like sake tastings. Local restaurants even get into the spirit with the Cherry Picks program, while DC-area hotels offer blossom-themed packages, deals and discounts. 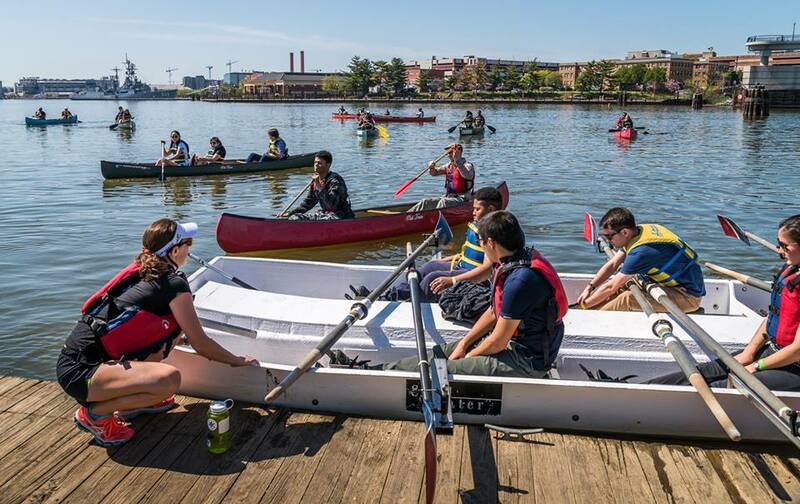 And it all leads up to the main events: Petalpalooza, formerly known as the Southwest Waterfront Fireworks Festival, and the storied National Cherry Blossom Festival Parade. Below is a list of notable events to check out. 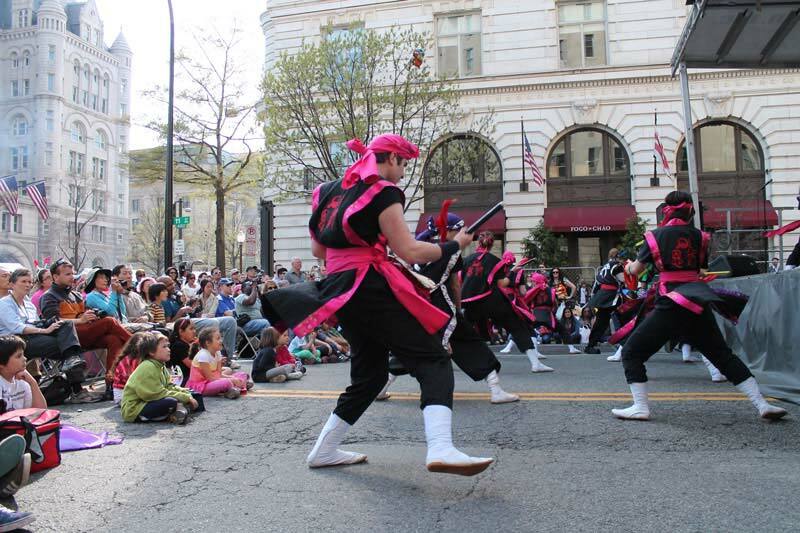 For a full list of the events, visit the National Cherry Blossom Festival website. Show off your duds and support the blossoms at this exclusive pink tie fundraiser, where a ticket will give you access to one sophisticated celebration. Mixologists go toe-to-toe with their own heady cherry blossom concoctions, while chefs from popular eateries including Pisco y Nazca, Texas de Brazil and District Winery get into the spirit by rustling up spring-themed eats. There's also dancing and a silent auction that you will not want to miss. Throughout the National Cherry Blossom Festival, visitors will flock to the National Mall's Tidal Basin to see gorgeous cherry blossom trees. The area will host the National Park Service and its partners, who will provide visitor services, including food, souvenirs and books. Park rangers will be present to answer questions as well. 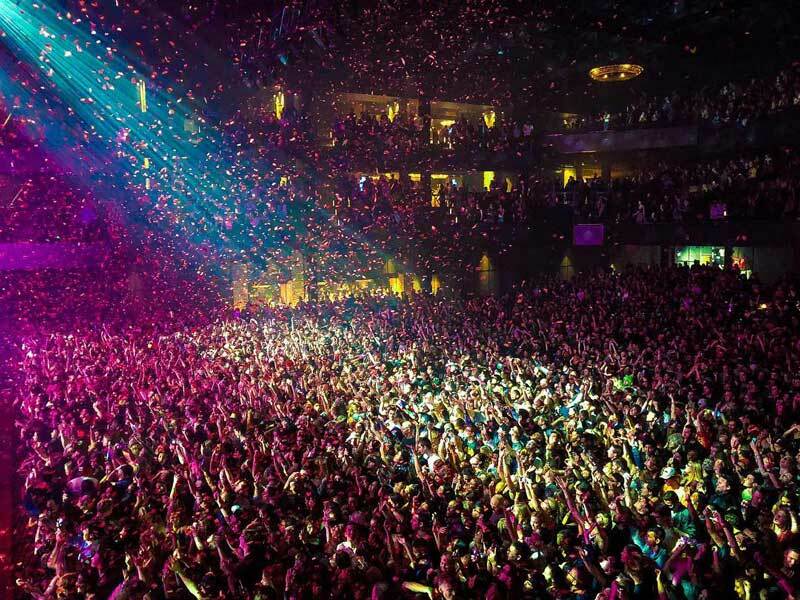 In addition, you can catch live performances every day. Entrance to this area is free of charge. Diehard blossom-goers make a point to be official about their visit by reserving tickets to this free event. Experience the festival on stage, through traditional and contemporary performances at the Warner Theatre on Saturday, March 23. 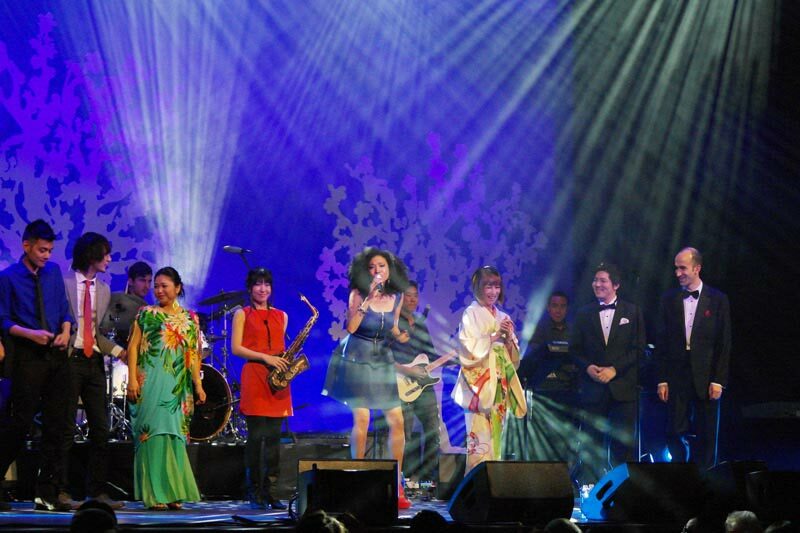 This year's showcase features the cast members of "Pretty Guardian Sailor Moon" The Super Live making their North American debut and an original interpretation from violinist Ikuko Kawai. *Note: There will be a $5 registration fee when tickets are claimed. 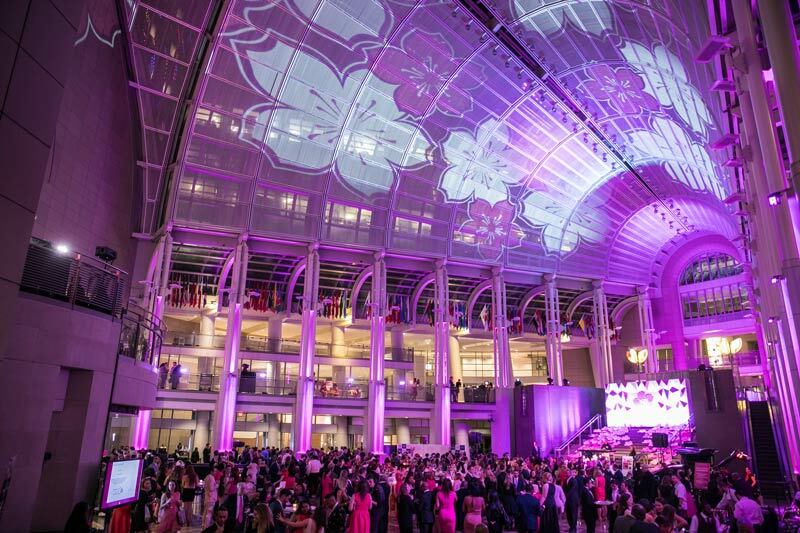 Join one of DC’s most popular museums in celebrating the National Cherry Blossom Festival. The free event will take place at the Smithsonian American Art Museum inside its gorgeous Kogod Courtyard. 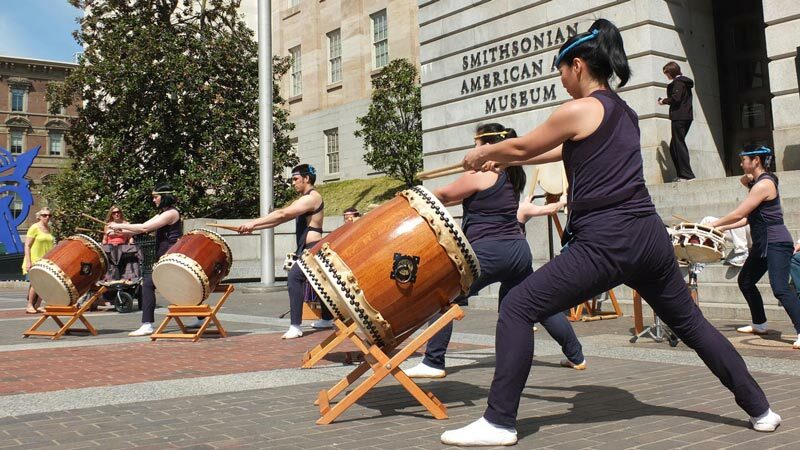 Expect a taiko drumming performance, Japanese dancing, face painting, cherry blossom-themed crafts, a scavenger hunt for spring-themed art and much more. 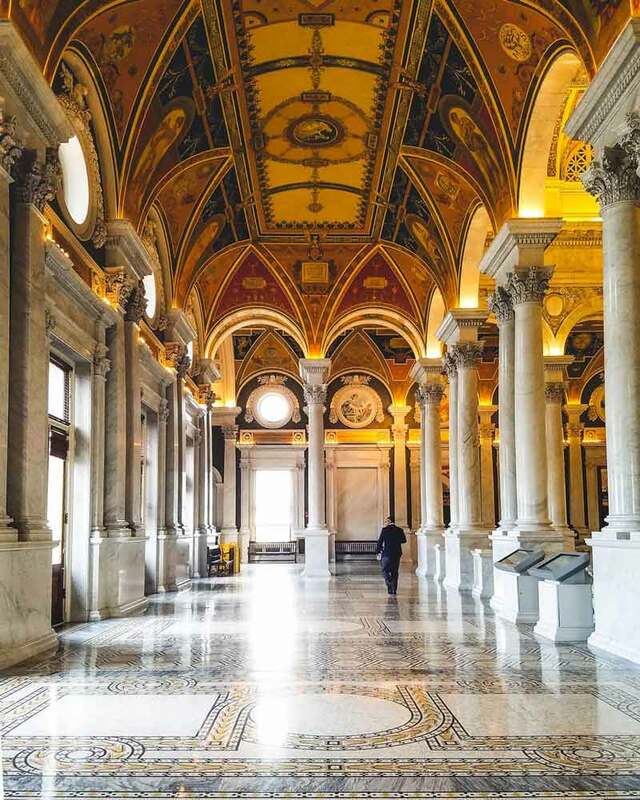 Watch Japanese culture come to life at the Library of Congress' Thomas Jefferson Building. Children and adults will be introduced to Japanese life and culture through hands-on activities like origami, kimono-wearing and a book reading and signing with best-selling author Tad Hills. This free event will also feature special programming from the Japan-America Society of Washington, DC, covering Japanese life in the states, as well as Japanese cuisine. Past National Cherry Blossom Festival princesses also attend, teaching children the art of tiara-making. 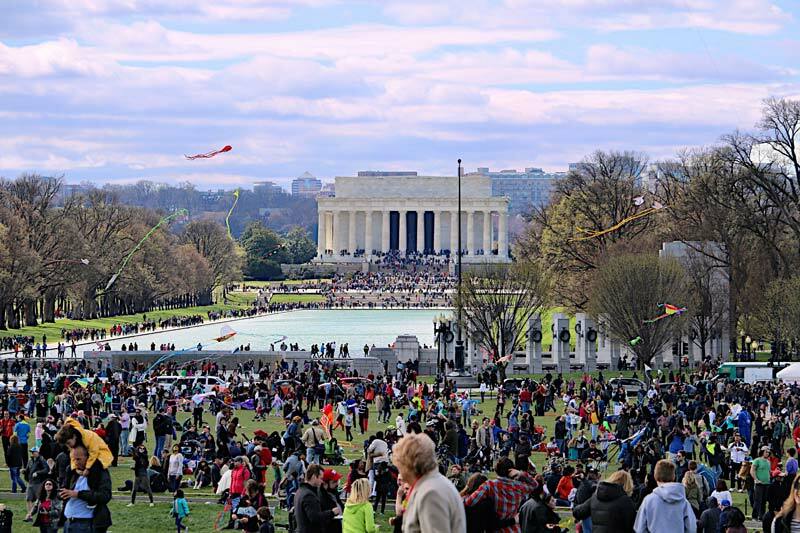 Head to the Washington Monument grounds for this kite-flying festival. Watch expert kite fliers from all over the world participate in the Hot Tricks Showdown, a stunt kite-flying event. Make sure you bring your camera. 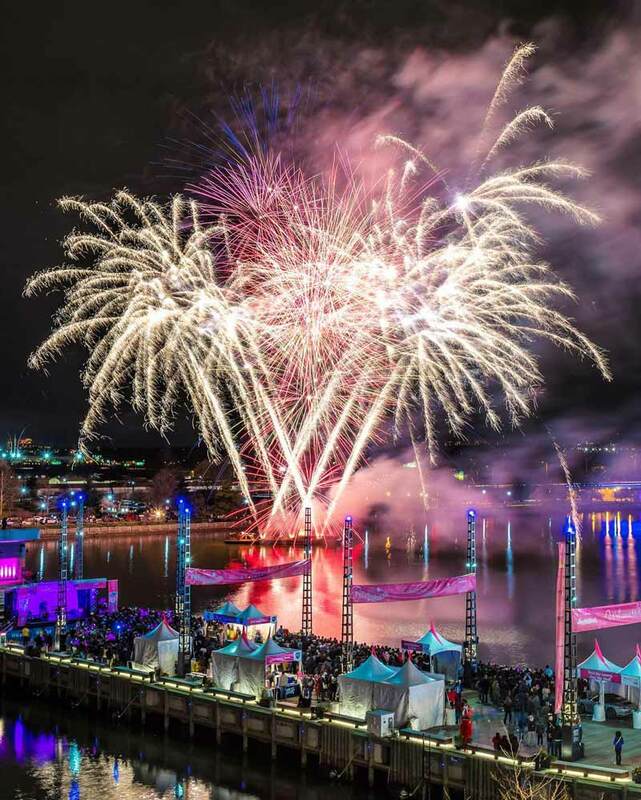 Get ready for more than eight straight hours of free tunes, all-ages activities, a beer garden, interactive art installations and games, all capped off by fireworks at The Wharf during Petalpalooza (formerly known as the Southwest Waterfront Fireworks Festival). Folks can explore DC's hottest new development and grab a great seat for the fireworks show. Entertainment begins at 12 p.m. and is capped off with fireworks at 8:30 p.m, weather permitting. Set up shop in East Potomac Park to catch views of runners participating in this year’s contest. The slots fill up quickly, so enter the lottery early or watch the race and cheer on the approximately 16,000 participants racing for $80,000 in prize money. The Newseum shows off its cherry blossom spirit with this event. 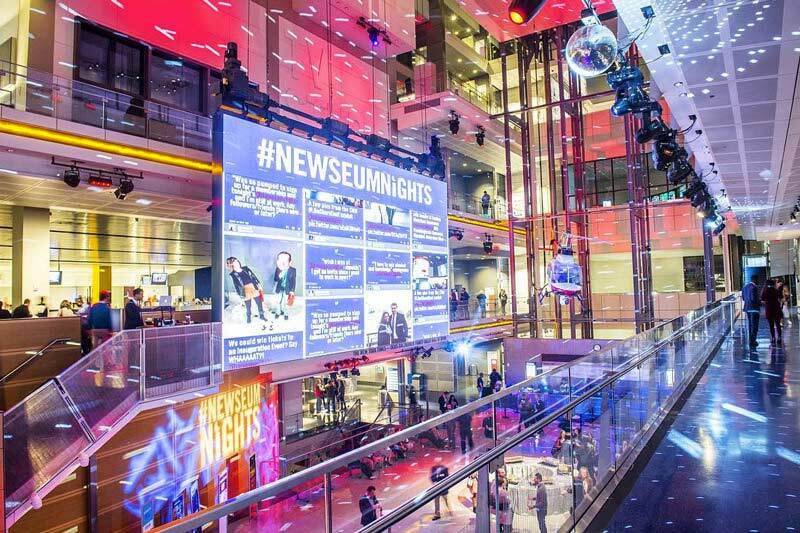 Enjoy an open beer and wine bar, sample sake, savor signature Asian dishes from Wolfgang Puck, see a traditional Japanese drum performance, receive a personalized haiku, explore Newseum's newest exhibits and so much more. 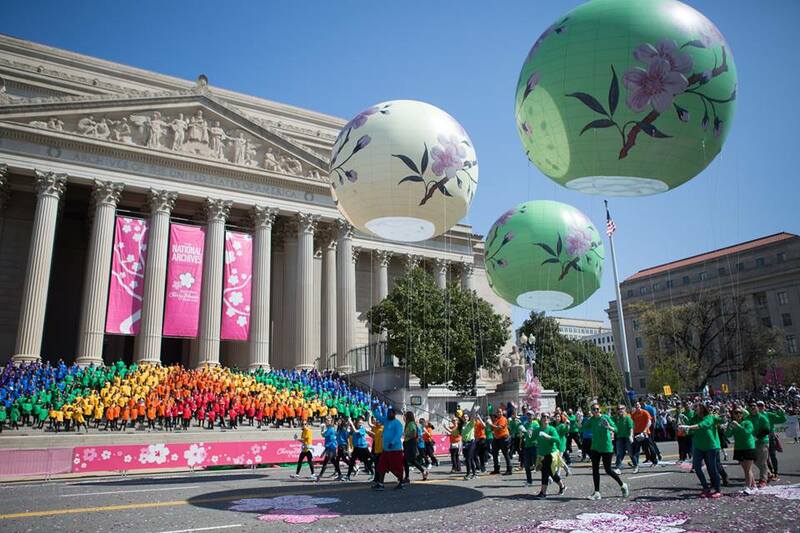 The culmination of the three-week festival yields arguably its most popular event: the National Cherry Blossom Festival Parade. Catch everything from giant helium balloons to elaborate floats to live musical performances. Hunker down in the grandstand, or walk along the parade route – which runs for 10 blocks along Constitution Avenue NW – for free. 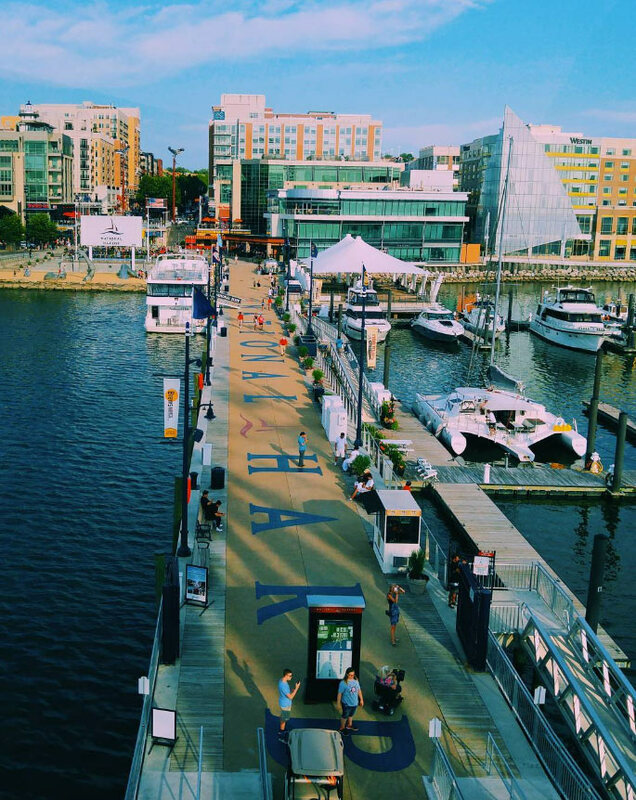 Celebrate all things blossoms across the Potomac River at bustling National Harbor during Sakura Sunday. This celebration of the Japanese-American friendship features an array of free activities, as well as a sake-rosé-beer garden hybrid and a Japanese-inspired market. 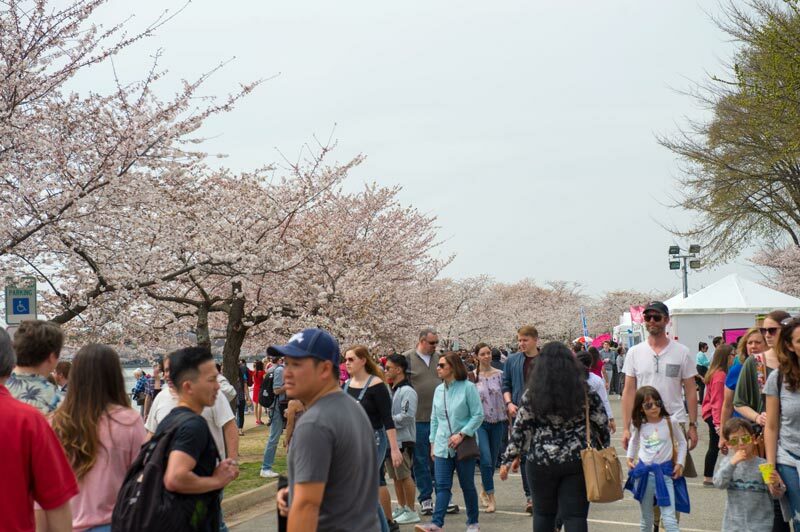 Read our complete guide to the National Cherry Blossom Festival and visit the National Cherry Blossom Festival’s website for more information on the festival.